Having children opens up your life to being a role-model whether intentional or not. Children always look to their parents as examples of how to be, (or not to be) toward many aspects of life. As you grow older you realize that your parents don't have all the answers and were doing the best they could with their own guidance from their parents. As the generations move on and different families are brought together through relationships and marriage, the roles of parents and children adapt to life's choices. But the one thing that remains is the guidance, motivation and comfort that our family brings to us through love. Families are one of life's greatest teachers. 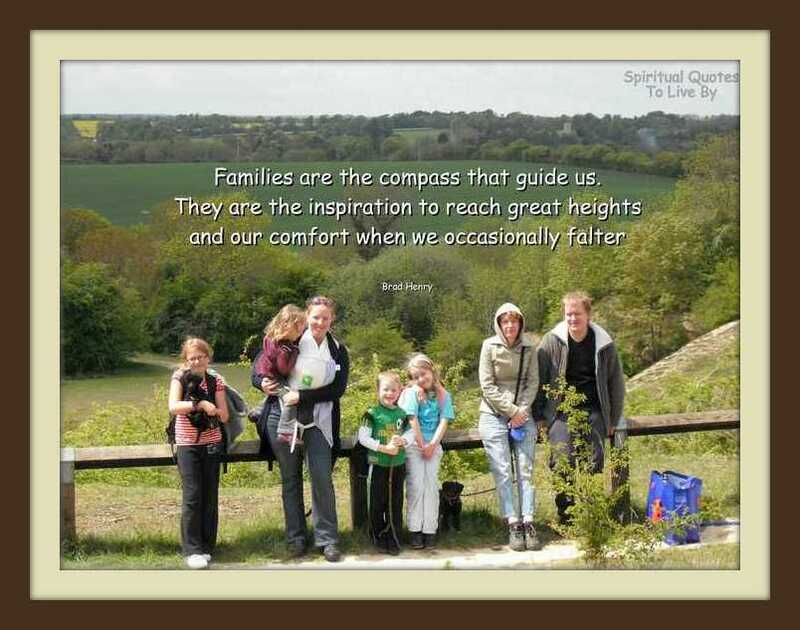 The photograph was taken in 2010 and is of my children and grandchildren when we were out for a walk at Kirtlington Quarry in Oxfordshire. My daughter Julie (on the left, holding the child) also has her newborn daughter in the sling that she is wearing. There was another addition to my family (a grandson) earlier this year. As we rapidly approach this auspicious winter solstice (21st December 2012), I have been reading more and more about people going through difficult times, emotional problems and events from their past are being resurrected to be cleared away, allowing them to release long held negativity. I mistakenly thought that I was immune to this as I had learnt EFT (Emotional Freedom Technique) many years ago and have gone through clearing any negative events from my life. But recently through certain circumstances, I had to talk about something that I had not brought up before, from when I was younger. I knew that I was guided as I relayed my story to who I needed to, and since then the memories that I have are now even more distant. I am a Spiritual Being and no matter what is going on we are all One, here in Love and Appreciation for each other, playing our roles as we planned before we came. Some of us chose to be the ones to experience and teach love and forgiveness to all people and then some of us chose the even bigger task of being the ones that would need to be loved and forgiven, no matter what happens. The duality and contrast of life is what we came here to experience, for how can we know that we are capable of Unconditional Love if there is no one in our lives that challenges us to experience this? I have been looking at this quote for the past few weeks wondering what to write as there was so much family 'stuff' going on that I didn't think I could write anything without mentioning it, but obviously not wanting to bring other people's personal life out. 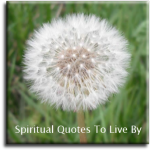 But as I believe in the Law of Attraction, I know that this quote is brought to me at this time to be guided to write about what's relevant to me, and my words can have meaning and be of assistance to others. So if you are reading this now, and there are difficult things going on in your life, please know that you are Loved and Supported by so many unseen helpers and also as more and more people Awaken to the fact that we are primarily Spiritual Beings who are all connected, the Positive Power of Love becomes stronger around the planet to uplift and ignite the spark of Light and Love that resides within us all.